My discography, “Hawaiian & Hawaiian Guitar Records 1891 – 1960” is now available for purchase. The body of the work, in alphabetic chapters, covers 1269 pages; the appendices cover another 143 pages. 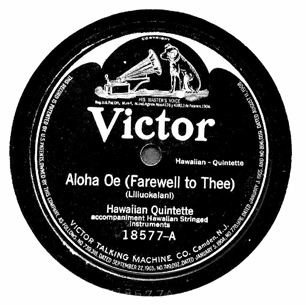 The discography also includes 41 pages of introductory material, including a short history of Hawaiian music in Hawaii and the United States. This reference work retails for $75.00 USD a copy, including shipping, handling and applicable local taxes, from Mahina Piha Press. It is written for Adobe Acrobat, and programs for the three main platforms – PCs, Macs and those using Linux – are supplied at no extra charge. or by PayPal at <malcolm@78data.com> or you may email me for further options. International buyers may use PayPal at <malcolm@78data.com> or you may email me for further options. Eventually, a portion of this website will be devoted to artist biographies, pictures, label variations and other material of interest to the Hawaiian collector / researcher. I hope to have an open discussion area where changes and additions can be posted by readers and where we can hash out things like personnel – a subject I am always willing to hear more about – and error correction.